Both of these products are very shimmery and not subtle in the least. 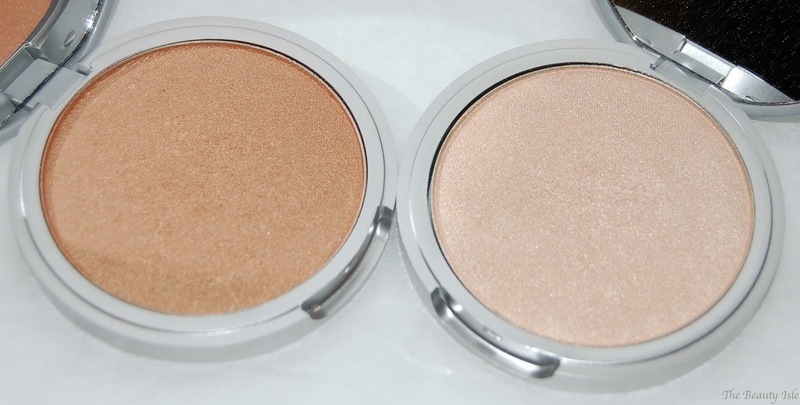 Betty-Lou is a gorgeous bronzer and Mary-Lou is a highlighter. 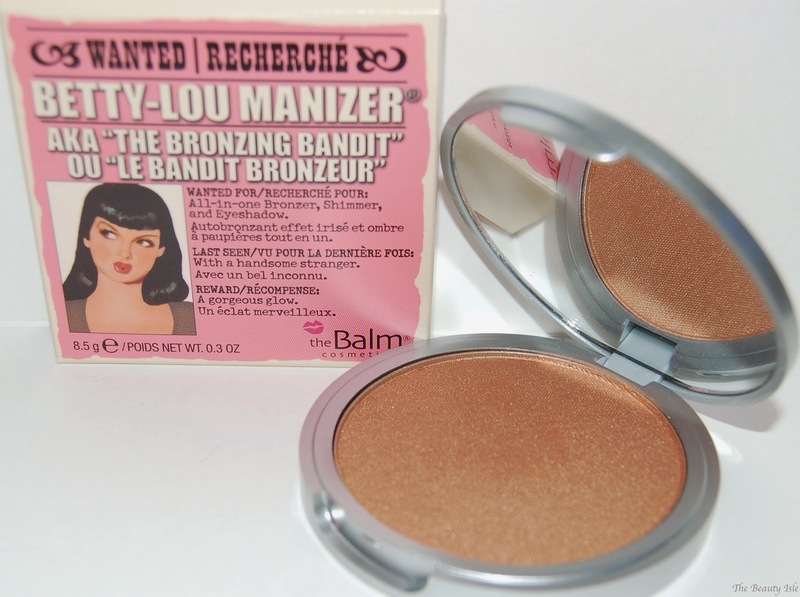 Betty-Lou Manizer should be used as an all over bronzer, not a contour shade because it's so shimmery. I like to apply it last with a big powder brush for a nice glow. Swatches below. 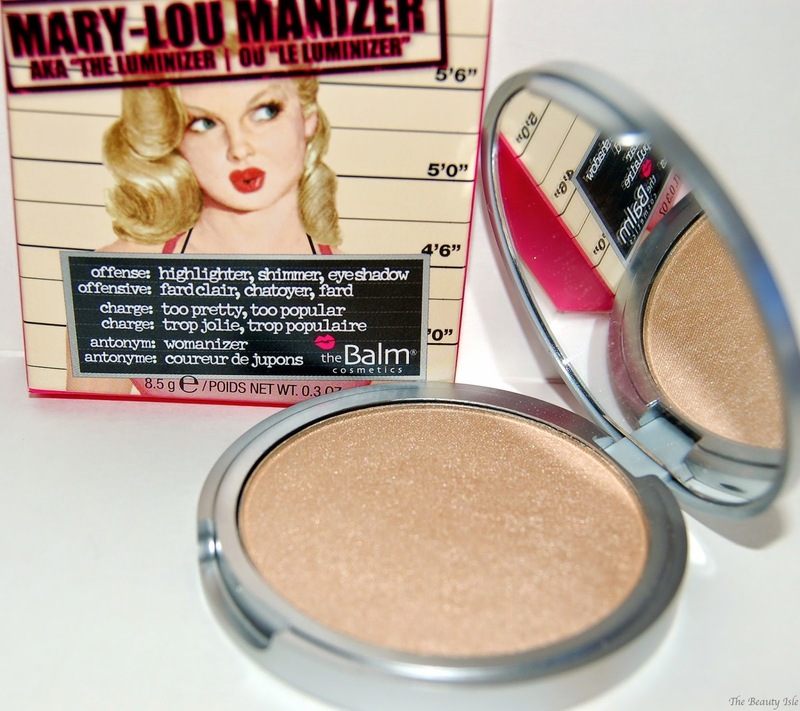 Mary-Lou is a gorgeous champagne highlighter. I love using this over my cheekbones, on my brownbone, and the inner corners of my eyes. It gives a very pretty highlighted shimmer to any evening look. 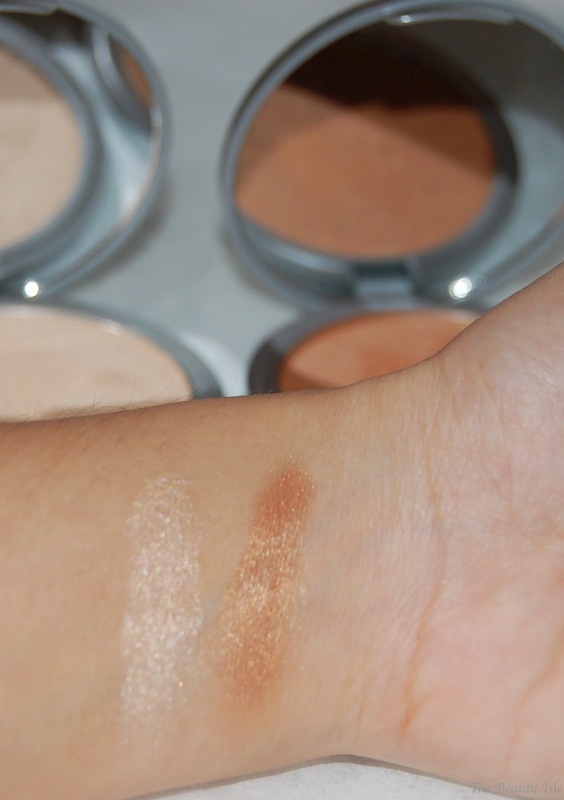 I've tried to wear this during the day and because it's so shimmery, you either need to use a TINY amount or your highlight is completely obvious. Some days I'm ok with that though! Swatches below. I actually purchased these 2 products on Hautelook for 50% off, so I paid $12 for each. They retail for $24 each on The Balm website. Hautelook is a wonderful flash sale website which you can sign up for HERE. Everyday they have flash sales on different brands including our favorite brands like Becca, Stila, NuMe, and more! You can read my review of my favorite blush from The Balm in Pinstripe, here. Have you tried anything from The Balm yet?